Jay-Z’s epic 8 show run is set to go off in Brooklyn, New York next week with the Rap Mogul performing eight separate shows at Brooklyn’s newest indoor arena, the Barclays Center. 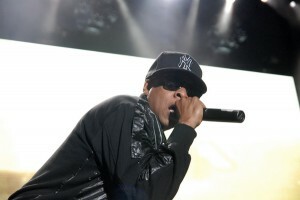 The shows will mark the opening of the new arena which will also play host the the Brooklyn Nets, which Jay-Z is also a co-owner. Jay-Z has a net worth of over $450 million dollars, has sold over 50 million records worldwide, and has earned 14 Grammy awards throughout his obviously successful career. Shawn Corey Carter, better known by his stage name Jay-Z, is one of the most influential and well known hip hop artists of the modern age, considered by many as one of the best rappers ever. Officially, Rolling Stone wrote that he is the 88th greatest artist of all time. One of his first albums, The Blueprint, is now a classic hip- hop album and it sold over 427,000 units, which is especially impressive seeing as it was written in only two days. Jay-Z states that his main influences during his music career include soul artists Marvin Gaye and Donny Hathaway. Along with music, he has several other business ventures, including familiar clothing lines such as Rocawear and Damon Dash. Rocawear netted him a whopping $204 million dollars in 2007 when he sold the rights to Iconix Brand Group.